The skin is the largest and one of the most important organs in the body and along with the coat can often give the first indication of a decline in overall condition or an underlying health problem. 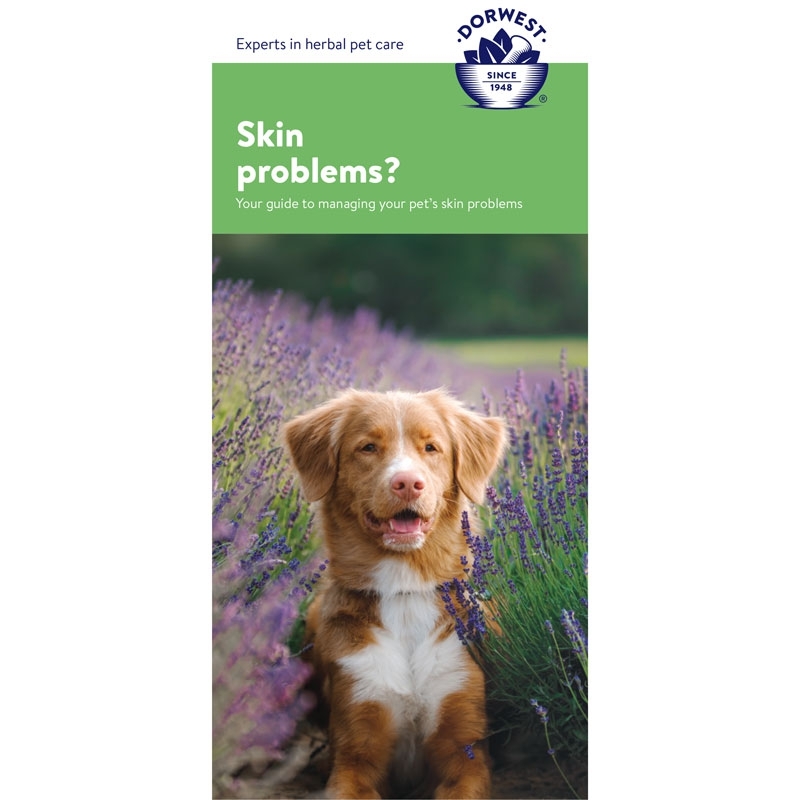 This section has a range of products to help you maintain your pet`s skin and coat in excellent condition, as well as medicines to treat skin complaints and encourage good healthy coat growth and pigmentation. 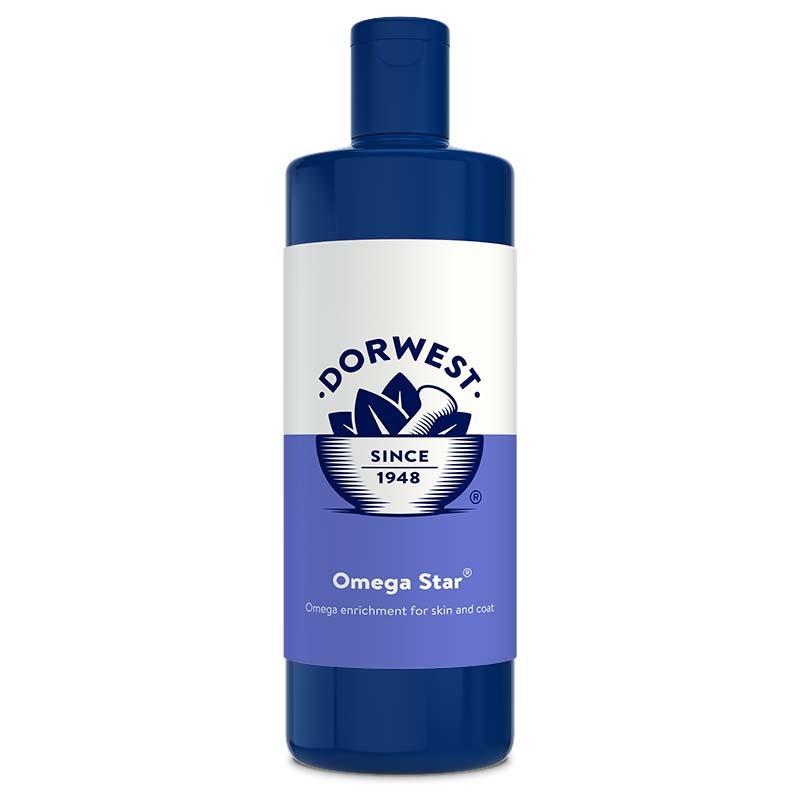 Omega Star® for dogs provides plant based omega enrichment for nourished skin and a quality coat. 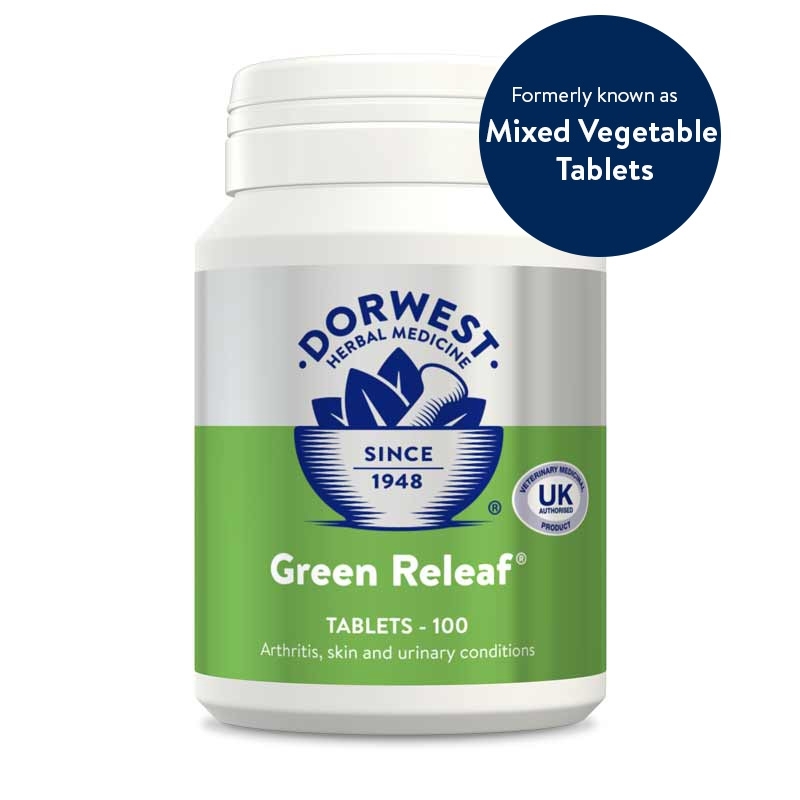 Green Releaf Tablets are a licensed herbal medicine for the symptomatic relief of arthritis, skin and kidney disorders and as a diuretic to aid normal urinary elimination. 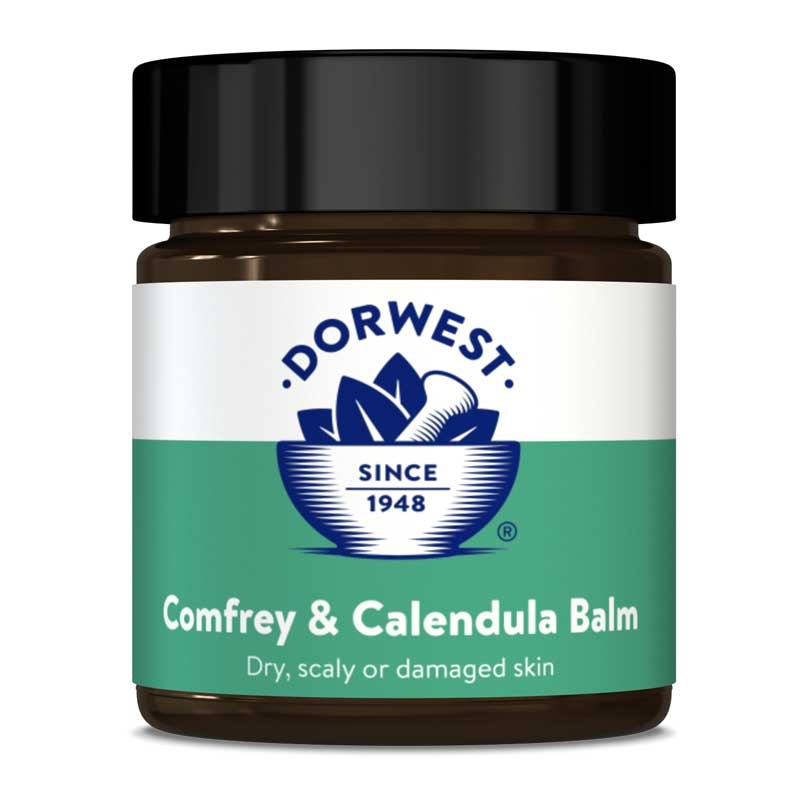 Comfrey & Calendula Balm soothes damaged, sore and dry skin in dogs and cats. 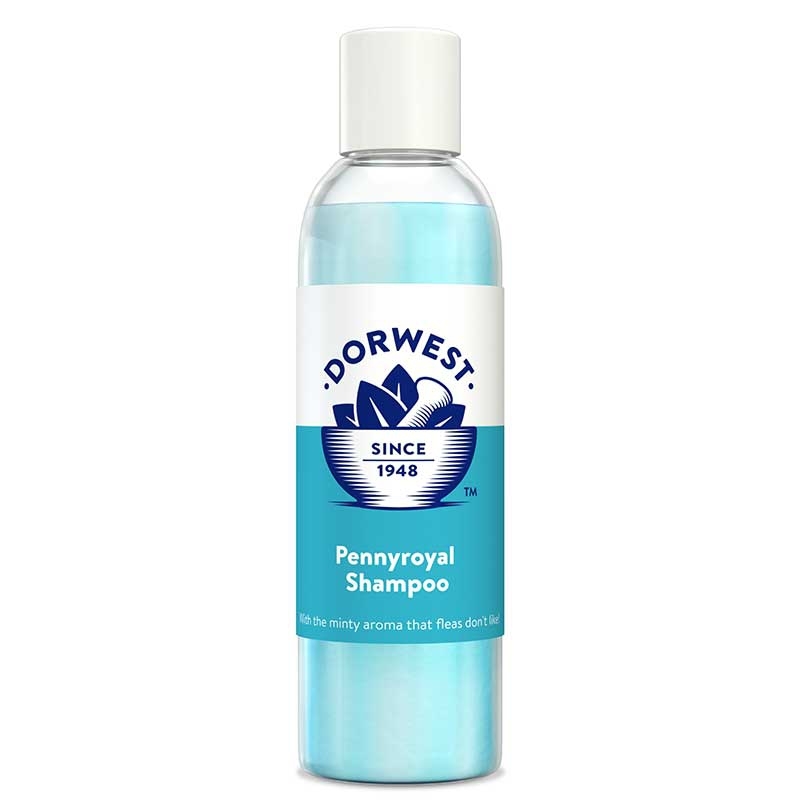 Pennyroyal Dog and Cat Shampoo is suitable for all coat types, and can be used to deter mites and fleas. 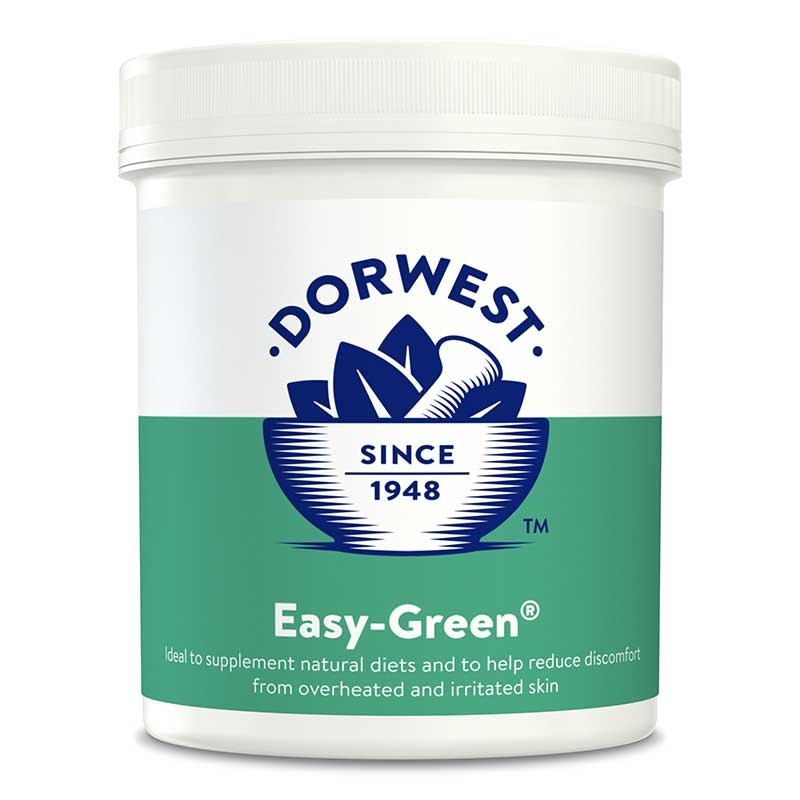 Easy Green Powder is a great way to give your dog ‘super green foods’, which benefits skin as well as being a important part of a healthy natural diet for dogs. 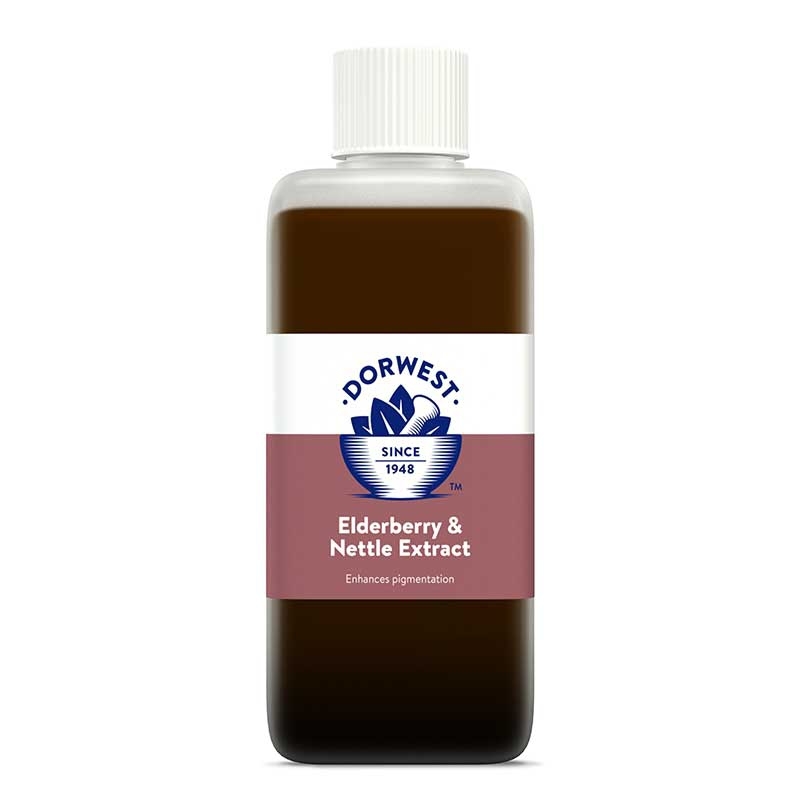 Elderberry and Nettle Extract is an effective natural supplement for dealing with loss of pigmentation in dogs and cats. 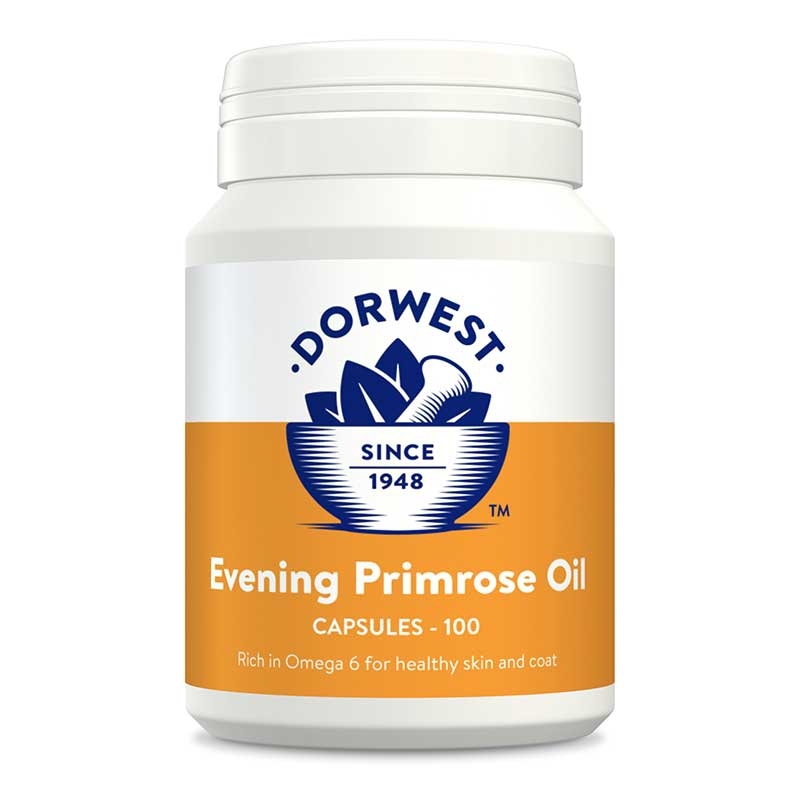 Evening Primrose Oil Capsules for dogs and cats can support dry skin, improve coat and maintain a normal hormonal balance. 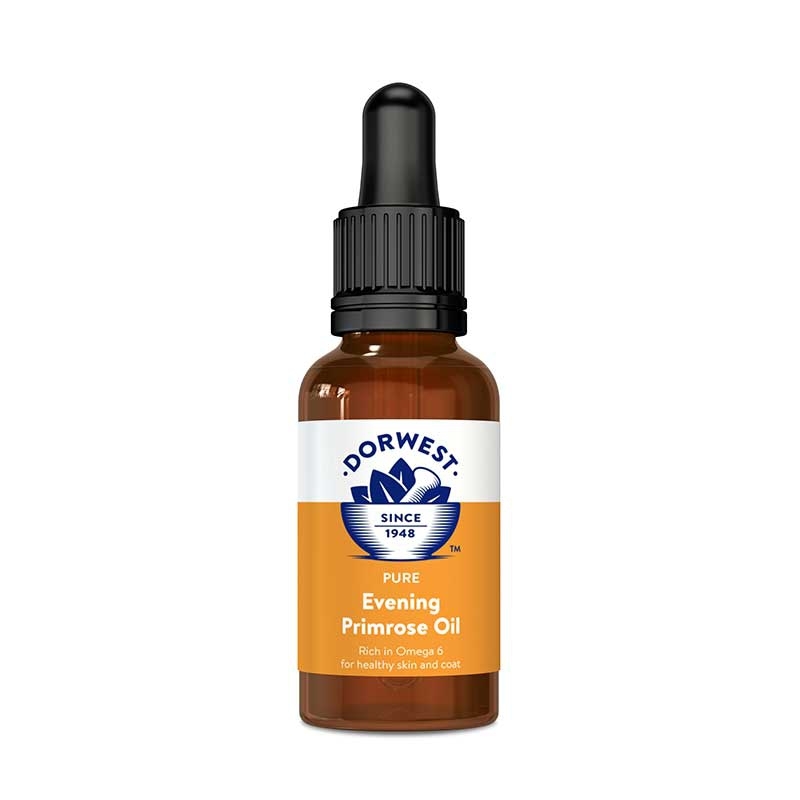 Evening Primrose Oil Liquid is an easy way to give this supplement to support dry skin, improve coat and maintain a normal hormonal balance, especially for smaller animals. 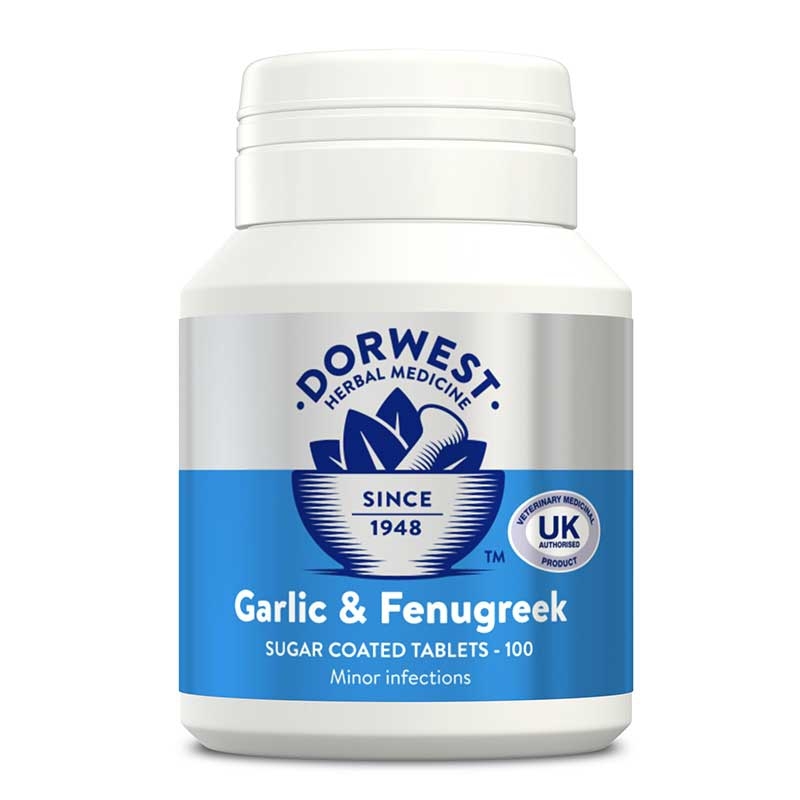 Garlic Juice can be used to help prevent parasites and has antiseptic, anti-viral and antibacterial properties. 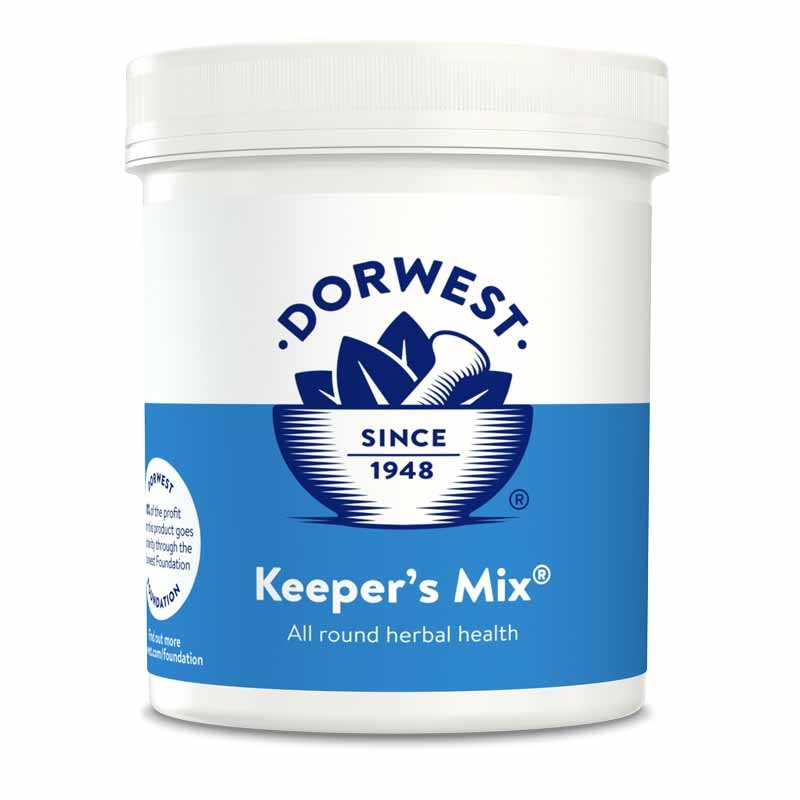 Keepers Mix is our most popular herbal supplement to maintain optimum health for dogs and cats. 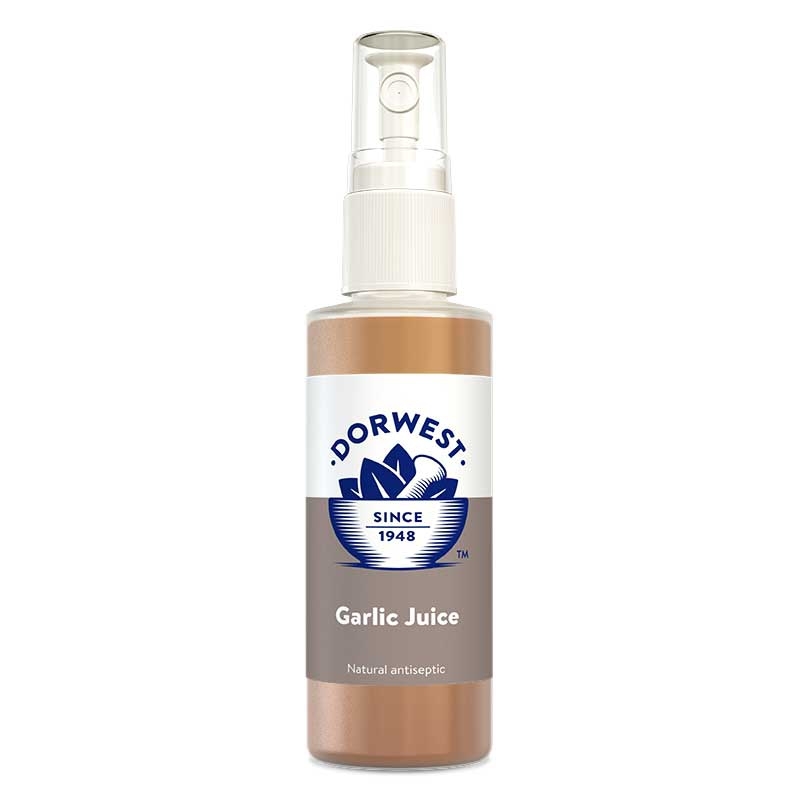 This is a Dorwest Foundation product!